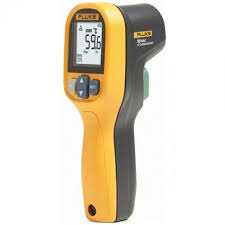 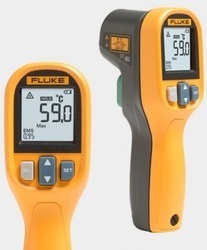 Leading Wholesale Trader of non contact thermometer irt 550, infrared thermometer model 59 max plus, infrared thermometer model 62 max, digital infrared thermometer htc irx 69 2200 degree, kusam meco non contact infrared thermometer model 688 and infrared thermometer fluke 59 max laser from Mumbai. 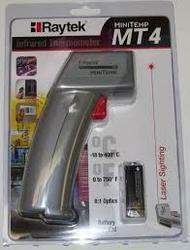 Temperature monitor from far distance. 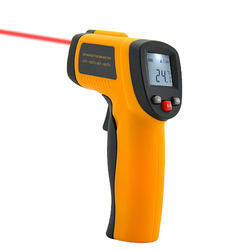 Adjustable emmissivity from 0.1 to 1.00 in 0.01 steps. 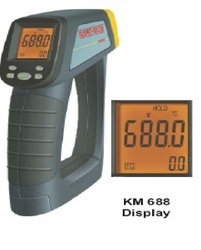 Selectable switch for ° C / ° F.
Accessories:K-Type Thermocouple (KM 688 only) upto 300°C, Instruction Manual, Carrying Case, Battery installed. 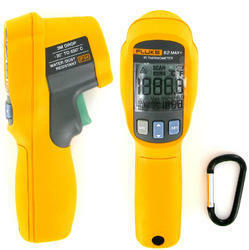 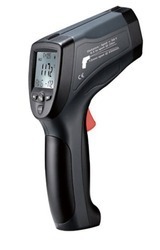 Looking for Infrared Thermometer ?